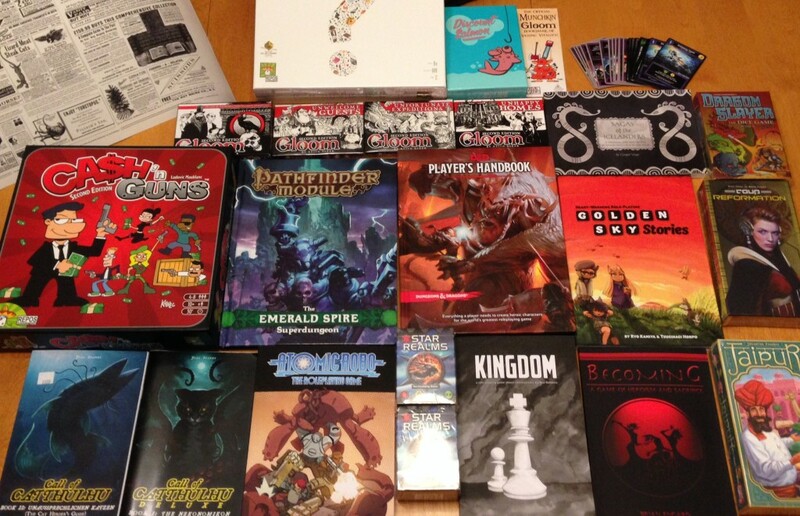 I’m back from GenCon with a few new games to try out. While I didn’t have a lot of opportunities to play games, it was an inspiring trip and an opportunity to catch up with lots of old and new friends. There were also a few important announcements that I wanted to share. 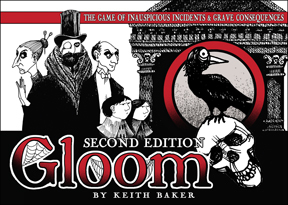 The second edition of Gloom is in stores now. You can find more information about it here, but I wanted to highlight a few things. This is an improvement to the existing game, not a complete transformation. While there are significant differences, it is possible to mix old and new cards together. With that said, if you own the first edition but still want to get the second edition, I’m working on something that will let you get good use from outdated cards… expect more news on that in a few weeks. if you have any questions about Gloom Second Edition, ask below. However, there was another piece of Gloomy news at GenCon. I’m teaming up with Atlas Games and Steve Jackson to produce MUNCHKIN GLOOM. You may wonder how this works… after all, the goal of Gloom is to tell a sad story while keeping your opponents happy, while the foundation of Munchkin is backstabbing your friends while you amass ultimate power and wealth. Well, how exactly do you GET all that power and wealth? Munchkin Gloom takes a look at the other side of the coin, placing you in control of a dungeon full of monsters whose lives are about to be ruined by a band of obnoxiously overpowered adventurers. We’ve got a lot of fun ideas and I think it’s going to be a great flip side to the basic Munchkin saga. Munchkin Gloom will be out in 2015, along with Fairy Tale Gloom. 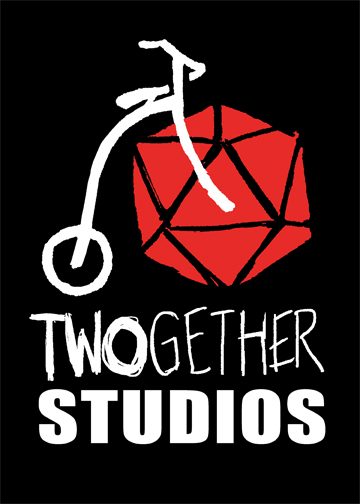 It’s been a long time coming, but my wife Jennifer Ellis and I are finally launching our own game company: Twogether Studios. I’m best known for creating Gloom and Eberron, and Twogether will reflect the principles seen in both of these. We intend to create engaging products with a strong emphasis on storytelling and imagination. We are working on RPGs, card games, and other ideas, and expect to launch our first Kickstarter in February 2015 to fund the production of a game we’ve been working on for the last year. If you want to keep up with what we’re doing, you can follow us on Twitter at @Twogetherstudio, or keep an eye on our website. I’m very excited about our plans for 2015! 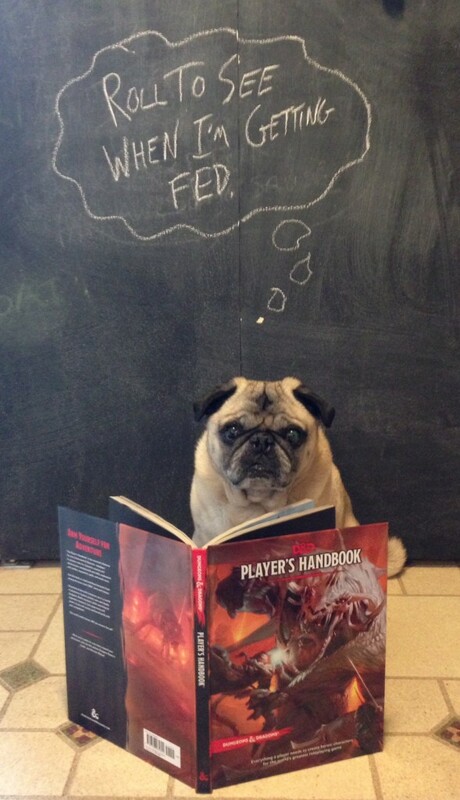 I’m afraid this weekend didn’t produce new information about Eberron support in Fifth Edition. The D&D team at Wizards of the Coast has a lot on their plate right now managing the release of the new books, and I suspect it’s going to be a little while before they can focus on this. However, it’s something that is still in motion and I’m excited about the possibilities, so hopefully there will be solid news in a month or two. In the meantime, I’ll be getting a Q&A out later this week. And for my part, I just put together a half-orc paladin of the Silver Flame (from the Demon Wastes) to play in the 5E campaign I’m playing in. More news as soon as it’s available!